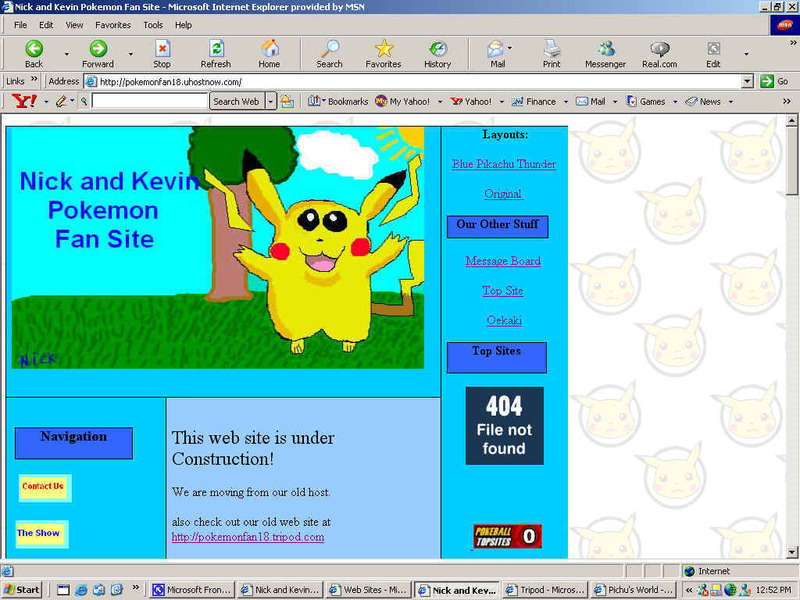 The New Nick and Kevin Pokemon Fan Site is Done! We have finally finished moving to our new host. On our new web site there is no ads popup or embedded, pages load faster and we will have custom error pages. Also we have a new Blue Pikachu Thunder Layout too. Our old web site will still be up but it wont be updated any more. You can get to our old web site from our new web site by going to the Old Pages page and clicking Old Web Site link.